Rebel Walk Roundtable: Let the Madness begin! Softball Preview: Rebels travel to Starkville for "Easter Egg Bowl"
OXFORD, Miss. 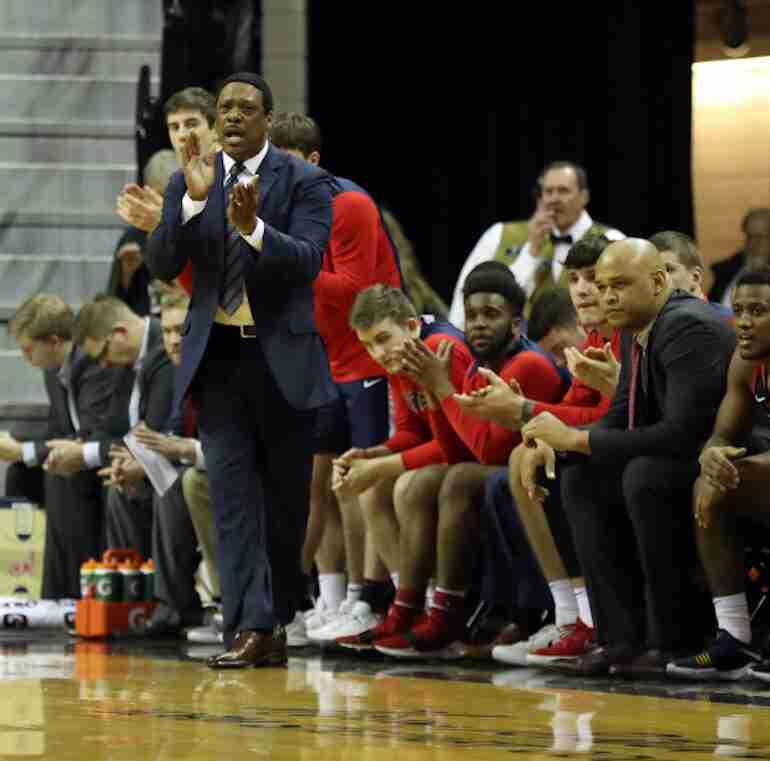 – The Missouri win Tuesday night was definitely a momentum builder for Ole Miss moving forward, and the Rebels hope to capitalize on that as they face Tennessee in Oxford on Saturday. Ole Miss (12-16, 5-10 Southeastern Conference) comes back home after a two-game road trip to face another talented program in the No. 19 Vols (12:00 p.m. CT, SECN). The Rebels have won six of the last nine meetings in the series, including three of the last five. In Oxford, the series is tied 25-25. However, this year’s Vols team is young, athletic, and dangerous on both ends of the court. After its road loss to Georgia last weekend, Tennessee (20-7, 10-5) got back on track with a home win over Florida. In the win, the Vols made 13 of 15 shots from the free throw line, and Grant Williams scored 23 points, a better performance than he had against the Bulldogs – a season-low five points on 1 of 8 shooting. Admiral Schofield added 16 points and eight rebounds for Tennessee in the win. Defensively, the Vols are just as good as they are on offense. Tennessee forced the Gators to shoot just 35 percent overall and 25 percent from 3-point range. For the season, the Vols are giving up just 67 points per game, which leads the SEC. Tennessee also leads the league with 14.8 assists in conference games. The Rebels are coming off one of their best, if not the best, performances of the season. Against Missouri, Ole Miss made 15 of 16 shots from the charity stripe and received solid production from Breein Tyree and Terence Davis, who combined to score 44 of the team’s 90 points on 16 of 35 shooting. Bruce Stevens also added 13 points, and Markel Crawford added 11. Two of the biggest stats from the game that helped the Rebels snap their seven-game losing streak were their 18 assists and 11 turnovers. Ole Miss played unselfishly and loose in Tony Madlock’s Ole Miss head coaching debut. It will be interesting to see if the Rebels can carry over this performance when they take the floor with the Vols. Both Ole Miss and Tennessee shot well from the free throw line in their last games. The Vols are second in the SEC in free throw percentage (75.2 percent), while the Rebels rank sixth, having made 73.4 percent of their shots. 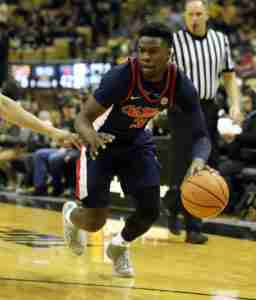 Ole Miss notched 13 offensive rebounds against Missouri, which resulted in 18 second-chance points. For the season, the Rebels are averaging 12.1 offensive rebounds per game. Ole Miss will need to repeat Tuesday night’s performance against Tennessee. The combination of Breein Tyree and Terence Davis was too much for the Tigers, and, as a result, the Rebels’ offense was able to score. Tyree and Davis worked well together against Missouri, and consistent guard play will be needed to defeat the Vols. Ole Miss and Tennessee tip off at 12:00 noon in The Pavilion. The game will be televised on the SEC Network. Courtney is from Memphis and received his Bachelor's Degree in Fine Arts from the University of Memphis in May of 2014. He began his journalism career covering the Memphis Tigers Men's basketball team, which landed him an intern position on 730 Yahoo Sports Radio and a position with Rivals.com. A freelance writer for the Associated Press, Courtney is also a member of The Rebel Walk team and reports regularly on Ole Miss football and basketball. Courtney, the father of a six-year old girl named Soniyah, prefers to cover NCAA basketball and football, but is happy to report on any other sport that comes his way. Copyright © 2014-2017. All rights reserved by The Rebel Walk, LLC (unless otherwise noted).